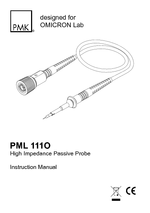 The PML 111O is a passive 10:1 probe manufactured by PMK, optimized for the use with Bode 100. It features a unique 1 MΩ design for the AC-coupled inputs of Bode 100. 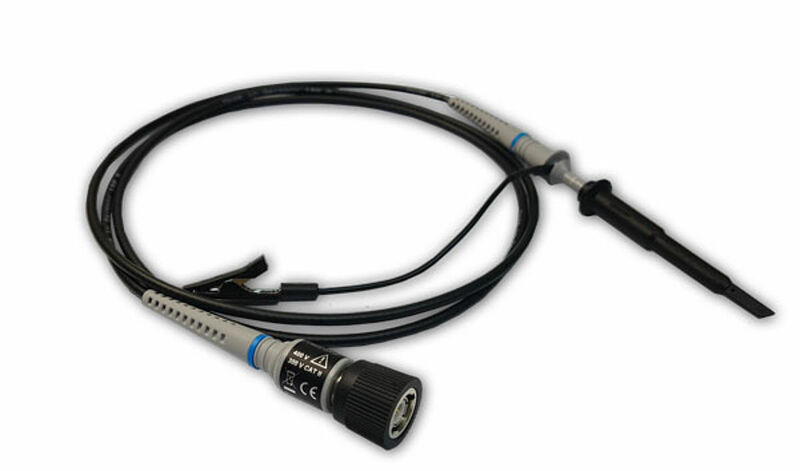 Note: Standard passive probes will not divide the DC portion of the signal when connected to an AC coupled input! The PML 111O will also divide DC during AC coupling. 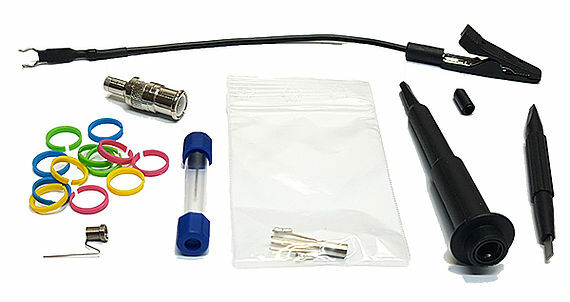 A wide range of accessories for the 2.5 mm PMK probes are available for purchase from PMK. All 2.5 mm accessories also fit on the PML 111O. Check out www.pmk.de/en/products/2_5_mm_zubehoer for more information on replacement tips, probe-holders, IC contacting systems and much more.